Thank you to everyone who submitted questions for the Q&A! And thanks again for 200 followers. It has to be Kuroki Tomoko who can make me laugh easily without trying. Yes she’s cringey but I find that sort of thing funny. Other series’ are a lot funnier but I think she is the most funny character. Yeah my discord is RossiRoad#6559 if you want to add me. So why is my brain completely empty? It’s because of that reason that my last post ever on here will be called “my brain is completely empty” to say I’ve ran out of thinks I want to say, see you later. Though at this rate running out of things to say is pretty unlikely. The best thing for definite is to talk to people and comment, it’s great to have discussion. I’ve always been a very quiet person on the internet, never talking to anyone, and bloggers are the only people I really talk too online except for IRL friends. And it’s great. So talk to people, I really enjoy discussions. Berserk 1997, Hajime no Ippo, Evangelion, Kaiji and Prison School. Sakamoto from Sakamoto desu ga? I just think it would be nice to be effortlessly cool all the time! I started watching anime around 3 years ago. Oddly I got way more into it around when I started and slowly have been getting less interested. I’ve barely watched anything this month so far, just Ghibli films really! The reason why is hard to answer. I always had an interest in things around anime from playing and watching pokémon. As well as that I had friends who were really into yugioh and I enjoyed those manga’s. Then I got recommended dragon ball and read all of dragon ball and dragon ball Z. I would go to the library (both public and in school) and borrow manga’s like naruto and the less well known Darren Shan volumes and Journey to mount Shen/Iron fist Chinmi. As well as this I read bleach. So I started watching pokemon and yugioh, found yugioh abridged and DBZ abridged and randomly started watching fairy tail because of a DBZ Fairy tail parody. Then I tried watching bleach and dropped it after the soul society arc (as everyone should) and started assassination classroom because of a friends recommendation. I watched it online and tried a few other shows out from looking on kissanime. Then I stopped completely. I wasn’t really into anime at that point but that’s the background before the event. I went to a festival kind of thing with my church and another church for five days. In the other church was a really hot girl who liked anime. I was like “hey I like anime (well sort of but not really)” and we talked a lot about it. It became very clear to me that I knew basically nothing and she was an extreme die-hard fan (apparently claiming to watch like 20 episodes of anime a day (which had to be a lie)) that had seen everything except for all the shows I had seen. Like bleach and stuff. Anyway I was trying to change the subject but every time we did it would just end up back on anime and I would have to bs my way through it. As that festival went on she got ill and was basically in the main tent constantly, as I was also in the main tent constantly playing card games with friends I happened to learn a lot about anime in that time, and realized it was something you could actually be a fan of. The idea of someone being a fan of anime was previously new to me. And there you go, that’s all for the Q&A, thank you for the questions these were all really fun to answer! If you didn’t have time to submit a question then I will just answer it in the comments instead of putting it in the post! Yay 200! Let’s hope your brain doesn’t empty any time soon and you keep getting more followers! And yeah, 20 had to be a lie. I can watch six to twelve if I have nothing to do, but that’s still a stretch. You sort of hope it’s a lie as well, 20 is pretty sad honestly. The most I’ve ever been able to watch in one day was a 12 episode series and I didn’t have much spare time for anything else. I did binge watch all 115 some episodes of Fullmetal alchemist/brotherhood in a week last year. That’s 115 ÷ 7 = approximately 20 episodes a day, but I was jobless, school hadn’t started yet and I was house sitting all by myself. I spent at least three of those nights with less then two hours sleep, so it’s just not possible to watch that many regularly. Wow I’m amazed you can disprove that with valid experience! I can imagine that being fun yet difficult to enjoy since you would be consuming so much at once. I didn’t have a calculator when I came up with my numbers either, the average would have been approximately 16 and 1/2 episodes a day actually. So yeah, she was exaggerating. It was tough, but its an experience that I’ll treasure. Probably, its the reason I’m so obsessed with FMA. Yeah, and if she wasn’t I want to know the secret of how to do it. 2x speed would make sense but I don’t think many shows at all benefit with that change and it makes it a lot worse. It surprises me that it’s more than one person that picked up on 20 episodes, IMO everything else about that story is so much more interesting! Though I still think it’s fun to talk about. Yeah and you’ll probably dislike that I find FMA really boring and difficult to watch then. There are things that I appreciate about it but I just cannot enjoy the experience of watching because I can’t get into it. Not enough happens in the episodes imo and to me it just feels like not a lot matters, which is a bad feeling to have if you want to enjoy something! Watching faster is a cop out in my opinion. If you don’t like it enough to watch it properly don’t watch it all, even if your trying to have more under your belt. Your not the only one whose felt that way. I’ve heard of other people who couldn’t get into it because of pacing reasons and other stuff. I don’t have a problem if people watch at double speed, I just normally think it’s less good most of the time. If I think a show is long and boring and things take too long to happen doubling the speed might be a way to solve that as things happen faster and you have less time to be bored. Don’t worry about it, theirs no obligation to do anything at all! I’d say it’s one of my favourite anime, would probably recommend the manga or to read the manga at the same time as the show though. Wow, it may not be worth it for you knowing the manga however I enjoyed it even though I read the manga first. It doesn’t add anything but it’s berserk so it’s cool! 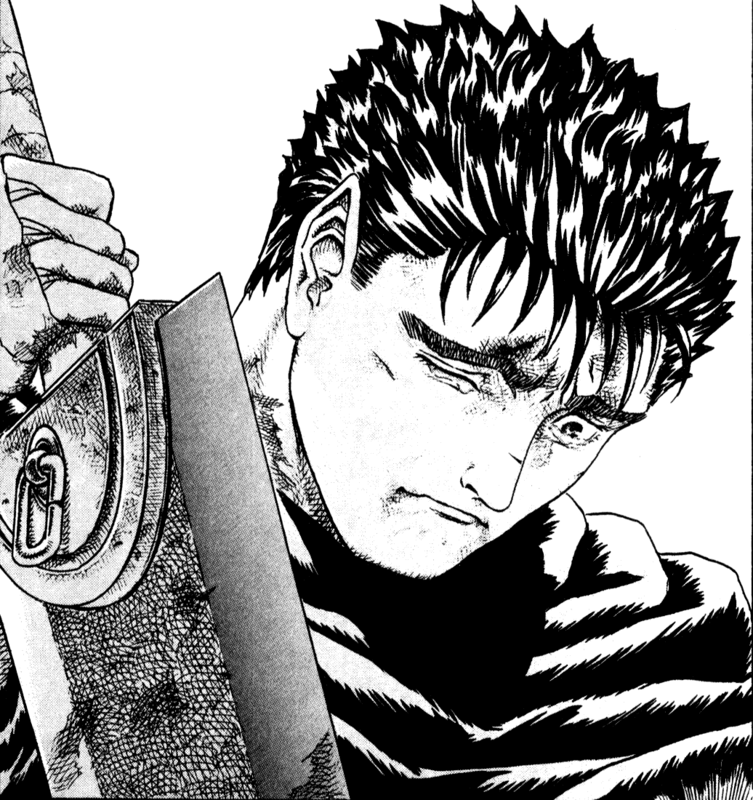 Berserk got so bad for me that I dropped it at chapter 290. 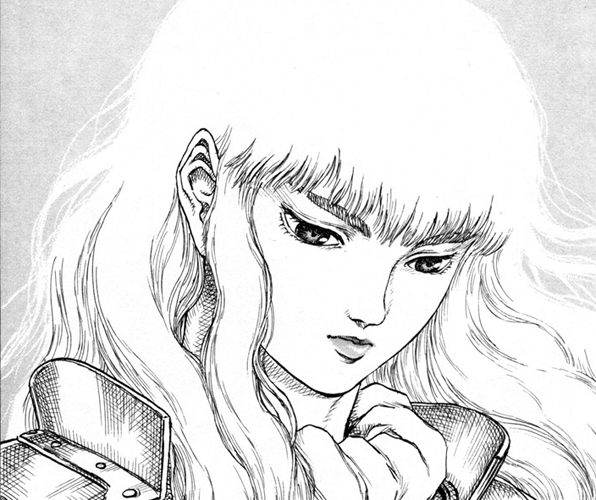 I really think nothing comes close to the golden age arc (or first three volumes of Berserk) and it’s sad. Congrats again on 200! 😀 Your answers are great too, and it’s a brilliant name choice! 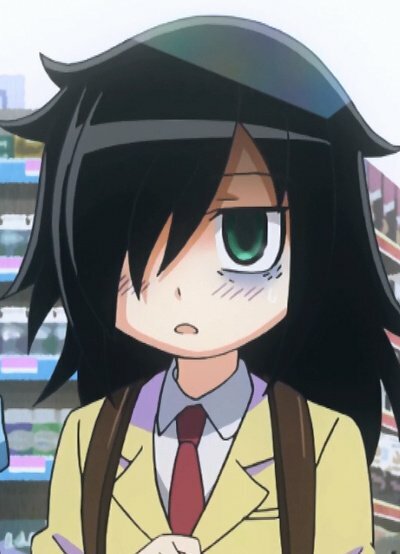 Tomoko is a good answer. Thanks, as soon as I thought of her I couldn’t think of anyone else because she was a good choice! Congrats again on the 200 followers and thanks for answering my question. Congrats on 200! I can assure you that your brain not completely empty, so you might want a blog name change, haha. Yeah it would be a good idea!